From the very first moment that video poker made its way onto casino floors, a massive industry was born. It’s likely that the first developers of casino video poker had no idea just how far the concept of playing cards digitally would go. However, as we now know, such games currently comprise a massive portion of the modern gaming industry. Here’s how it happened. 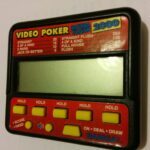 I know that I used to play on a handheld video poker machine when I was a little kid, but it’s actually very difficult to trace the very first example of digital poker that was playable in a home environment. With that said, the first instance of the concept existing on a large scale immediately followed the introduction of video poker on casino floors. Atari’s 1978 game “Casino” was crudely animated but allowed players the chance to enjoy digital blackjack, poker solitaire, and five-card stud. Naturally the game is dated at this point, but Giant Bomb claims it’s available in Microsoft’s console Game Room. 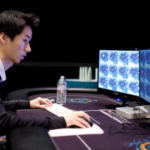 Early digital poker was largely about getting into contests with the actual computer programs, but the competitive nature of the game led to interactive online versions pretty much as soon as they were possible. 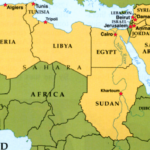 IRC Poker was the first version of online poker, played through a chat system and released in the early 1990s. By 1998, the first real-money online poker system was introduced. 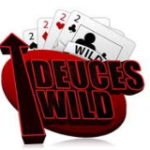 This was followed shortly thereafter by the emergence of a number of major online casino platforms. As almost every poker fans knows now, poker’s popularity boomed in the early 2000s when ESPN started televising tournaments and the public saw amateurs sitting alongside professionals with the chance to earn millions; commonly known as the Moneymaker Effect. As a result, we suddenly had poker celebrities whose names and images could be attached to video games to make them even more popular. The most prominent example is “Stacked” with Daniel Negreanu (see lead image), which had both standard and online modes. 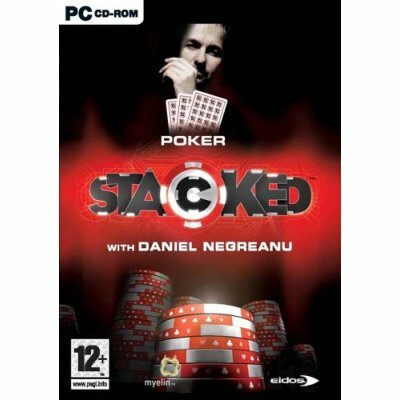 Metacritic shows mediocre ratings for the game, but it was a significant development in the history of poker video games. The next natural step was for poker to go mobile. Indeed, simple card games were among the first ones available on phones, even before the rise of smartphones and tablets. Now, in modern app stores, we can find any number of different poker games, including some that involve real-money betting (where legal). This development has arguably spread video poker more than any other. More recently, we’ve seen existing online poker games made even more realistic by the advent of live dealers visible through video feeds attached to the games. One operator, Gala Casino, introduces the concept by suggesting that as good as online poker and card playing games are, there can sometimes be no substitute for the personal touch you find in a real casino—at least, not without a live dealer. The dealers are meant to inject some personality into the games, making them feel more realistic than ever before. What’s next is impossible to say, but it seems like a safe bet that poker video games will continue to improve and adapt with the times. Perhaps the next logical step is for the games to move into virtual reality, which is expected to gain popularity in the next year or two, but we’ll have to wait and see what happens.